In all three riparian countries, the river is used mainly for irrigation, domestic water supply and hydropower (see Table 1). The Asi River is diverted to the Homs-Hama water channels and Ghab-Roudji irrigation systems to meet the needs of Lebanon and Syria. The water is also stored in the Zeita Dam for domestic and irrigation purposes and energy production. Improvement projects in the river basin began in the 1950s. Syria requested financing from the World Bank in order to implement the first large-scale project on Ghab Plain. Accordingly, 30,000-32,000 hectares of swamp were to be drained and converted into irrigated agricultural land. However, the World Bank focused on the international aspect of the project, as it was within a transboundary basin. It came to the conclusion that the Ghab project would not be affected by Lebanon’s existing water usage, but determined that Syria and this project would be harmed if Lebanon withdrew water in greater amounts. In addition, as Turkish-Syrian relations at the time were strained, it was expected that Turkey would object on the grounds that the plan did not conform to an agreed settlement of the rights on all rivers shared by Turkey and Syria. Turkey had also previously protested a diversion of water from the Afrin River. After Turkey had indeed raised objections to the project, the World Bank organized meetings in Damascus with Turkish and Syrian experts. The experts concluded that Turkish territory would be exposed to frequent floods during the construction and that the project as it stood would not leave ‘a drop of water’ for Turkey during the irrigation seasons. In the 1960s, United Nations experts stated that because the headwaters of the Asi River are in Lebanon, Lebanon had the prior right to use about 485MCM per year of the river’s water. In 1962, Syria cooperated with the Netherlands Development Corporation (NEDECO) on a plan to develop the river. However, this failed to take into account Turkey’s position. During a conference between Turkey and Syria, Turkey demanded a draft protocol to be prepared. According to this protocol, the plan would address the interests of and developments in both countries. Necessary flood control measures and review and revision of the NEDECO plan by giving consideration to the above items were also determined. In addition, the water requirements of Lake Amik in Turkey and the establishment of joint stream-gauging and flood-warning stations were determined. However, the conference ended without an agreement being reached on the protocol. Syria has built various dams on the Asi River, including al-Rastan and Mehordan. One of the biggest was Zeyzoun, which had a reservoir capacity of 71MCM. This dam collapsed in 2002, killing 22 people and damaging homes in Syria and agricultural areas in Turkey. The other large dam is the Zeita, which has a reservoir capacity of 80MCM. The treaty signed between Turkey and France (on behalf of Syria) in 1921, mentions the water apportionment and supply for the waters of Qweik (Kuweik) located between the Asi and Euphrates basins to the south of Aleppo. The Qweik rises in Turkey and has a water potential of 0.2BCM. According to Article 12 of the treaty, the waters of Qweik shall be shared between the city of Aleppo and the district to the north remaining Turkish in such a way as to give equitable satisfaction to the two parties. 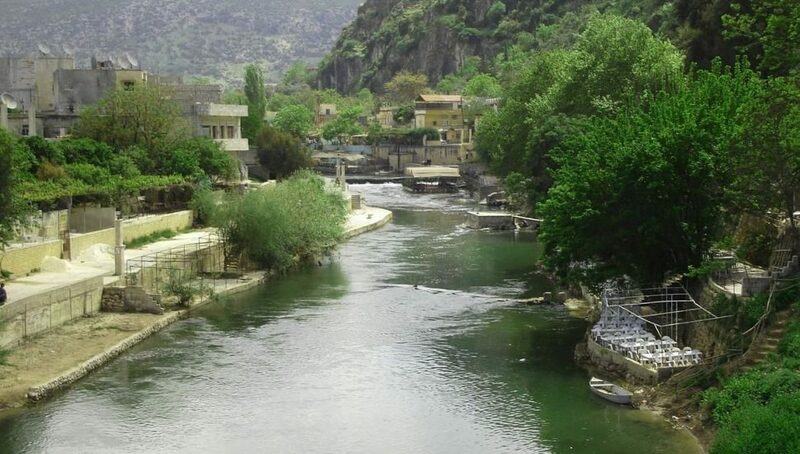 The last protocol on the equitable use of the Asi, Karasu and Afrin rivers was signed between Turkey and Syria in 1939. The Asi River was recognized as rising in Lebanon and being a joint water resource. The annual flow of the river was agreed as 403-420MCM. Lebanon would receive 80MCM/year of the total of 420MCM and Syria would receive the remaining 340MCM. If the annual flow inside Lebanon fell below 400MCM, Lebanon’s share would be adjusted downwards, relative to the reduction in flow. The water flow and the amount would be checked by a committee of experts from both countries. The main branches and tributaries of the Asi River would be monitored by both countries and the costs of monitoring and repair would be covered by Syria. A common arbitration delegation would be established to ensure the implementation of the agreement. Wells in the river’s catchments area that were already operational before the agreement would be allowed to remain operational, but no new wells were permitted. The agreement was shaped by the demands of Syria, the relatively stronger riparian country, and excluded Turkey entirely. FAO, 2009. Irrigation in the Middle East Region in Figures. Aquastat Survey, Rome. Scheumann, W.; Sagsen, I.; Tereci, E, 2011. Orontes River Basin: Downstream Challenges and Prospects for Cooperation. Springer, London. Caponera, D. A., 1993. ‘Legal Aspects of Transboundary River Basins in the Middle East: The Al Asi (Orontes), The Jordan and The Nile’. Natural Resources Journal, XXLIII, no. 3, pp. 629-663. FAO (no date). Aquastat, Main Database, Dams. Available at www.fao.org/nr/water/aquastat/dams/index.stm. Karpuzcu, M.; Gürol, M. D.; Bayar, S. (eds. ), 2009. Sınıraşan Sular ve Türkiye. Gebze, GYTE. Salha, S., 1995. Türkiye, Suriye ve Lübnan İlişkilerinde Asi Nehri Sorunu. Dış Politika Enstitüsü, Ankara.